Tooth whitening is considered the best procedure to reduce the yellowish coloration of teeth. By means of a whitening solution (carbamide peroxide) and the direct contact with tooth, te solution removes the stains from teeth. Some of the common reasons why teeth change in color are the use of black tea, red wine, coffee and the worst of them, tobacco. In other isolated cases the use of tetracycline on patients cause some darkening of teeth. But mostly what moves people to ask the dentist for a whitening, is the lack of confidence in themselves when smiling, associating white teeth with beauty, good health or even youth. It is important to remember that results may vary according to the patient's habits and age. 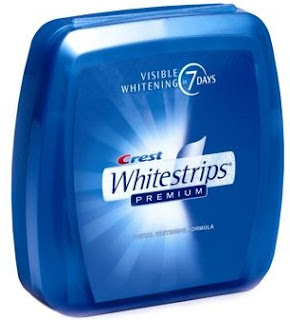 We can say that all the toothpastes on the market are good removing the stains of the teeth. However there are some special toothpastes that remove more stains than others (due to a high concentration of the peroxide), but none of them would have the results that you can get visiting a dentist. 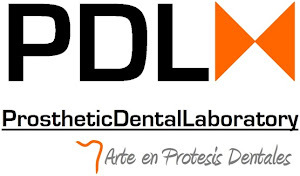 The strips are very easy to get in pharmacies and essentially they are strips covered with peroxide in a low concentration, that after 30 minutes in direct contact with teeth, two times a day, for about 14 days, bring good results for the paerson, but remember, it will never be compared with the results obtained at a dentist chair. The laboratory makes some trays identical to the patient's teeth. At home, he fills the trays with peroxide gel (It can be 10, 16 or 30% of intensity) the areas that will be whitened, and for a few hours (preferably at night) the patient wears the tray, allowing the gel to remove practically all the stains on the tooth. The cost is reasonable, but touch ups are needed after a period of 6 to 12 months. This is considered the best whitening method that can be performed at the dentist office in only one session. 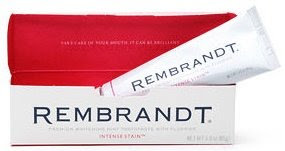 The dentist cover the patient's gums with a special gel that protects the gum from irritation. Then it is applied to the teeth carbamida peroxide and is activated by applying heat or a light source. The cost may not be as cheap as the toothpaste or strips but the results and the convenient time of the entire process, motivates more people to ask the dentist for a teeth whitening.